Jasmin Causevic was 13 when he found himself in front of a Bosnian Serb firing squad – and despite being seriously wounded, he survived by hiding out in a basement for days. This is how Jasmin Causevic begins to tell the story of the attack on the village of Biscani near Prijedor by Bosnian Serb forces in July 1992; the attack which nearly led to his death. 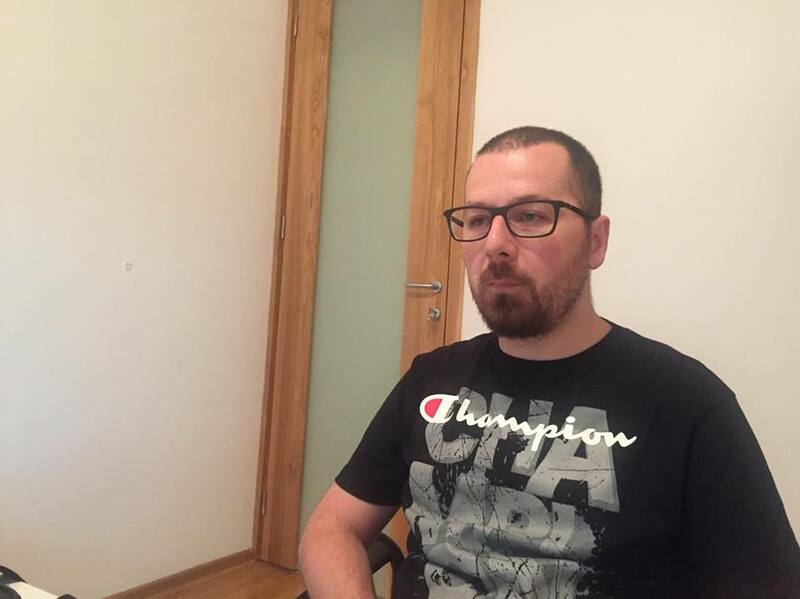 Earlier that year, the 13-year-old had been living with his father Sadik in Hambarine, near Prijedor, when it too was attacked in the spring of 1992. His mother and brothers were in Germany as seasonal workers at the time. After the attack on Hambarine, Causevic and his father went to nearby Biscani, where they hid in basements – until Bosnian Serb forces attacked again. “After some time, I do not know how long exactly, the soldiers put a knife to the throat of a little girl from our neighbourhood, asking all the men to come out of the basement,” Causevic recalled. When they came out of the basement, he saw many Serb soldiers, who began hitting them. Their major looked incredibly big to a child like Causevic. “The major hit us. He then pushed [a local called] Vehid about two metres away, cocked his rifle and shot him in the nape of the neck. He fell down in front of us. His brains poured out. A puddle of blood appeared. I was in the state of shock,” Causevic said. After that, who had been hiding in the basement were told to run to a meadow, where Serb soldiers had already formed a firing squad. “Out of fear, I fell to the ground and began crawling. My father was a metre or two in front of me. I remember his last words spoken to me were; ‘Run, my son,’” he continued. When he woke up, he realised that he had been hit in his thigh and chest. “I looked down at my torn shirt and saw pieces of skin hanging out of it. My leg was broken. I tried to put it on one side, but it kept falling back on the other. I managed to sit up and tried to call for help to see if anyone else survived. There was no answer,” he said. The temperature was unbearably hot that day, he recalled. Causevic said that some men who witnessed the murders then came out of a nearby forest and rescued him. They dragged him to the same basement in which he had been earlier that day, then ran away, leaving him alone. “My wounds became cold. I could no longer move. I knew it was the night, but I did not know what time it was, when my cousin entered,” he said. For the next four days, Serb soldiers pillaged the village and threatened people. The children from the village brought him food and water, but he could not eat anything. Then, he said, his aunt gave a few litres of brandy to a man to transport him to hospital. “They loaded me onto a truck, where I saw pieces of flesh and blood. I thought they would kill me, but they drove me to the hospital in Prijedor,” he said. Doctors at the Prijedor hospital, in Serb-controlled territory, operated on the 13-year-old’s legs and chest without anaesthesia and hung weights on his leg to straighten the bone. After that they transferred him to Banja Luka, the main town in Bosnia’s Serb-dominated Republika Srpska region. “When I got there, I grew up overnight and began thinking of how to save myself,” Causevic said. Causevic spent two months in hospital in Banja Luka before receiving a phone call from his mother in Germany. In November 1992, he managed to reunite with his family with the help from the Red Cross. “I do not remember it, but my mother told me that I had severe mental problems upon arrival in Germany. She said I used to jump whenever I heard a strange sound, I trembled and did not communicate with anyone. I was afraid of everything,” he said. He said that a lot of time and extensive treatment were needed for him to finally stabilise his life. The soldiers who attacked the village have never been prosecuted for the shootings that day in 1992. “A trial has never been conducted. That is why I speak about all this, to leave a written trace,” Causevic concluded. The remains of his father, Sadik Causevic, were finally found in a mass grave at a mine in Tomasica two years ago.